The Executive Committee of the French Aerospace Industries Association (GIFAS) met today, 8 June 2017. Hence, the Executive Committee has elected Mr Eric Trappier, Chairman & CEO of Dassault Aviation, the incumbent First Deputy Chairman of GIFAS, as the new Chairman of GIFAS. Mr Eric Trappier takes over from Mr Marwan Lahoud, who has served as GIFAS Chairman since 2013. “It is a matter of great pride to represent the French aeronautics and space sector. It has a wealth of know-how and technological skills that place it in the world’s top ranks alongside the United States, based on the strength of its 187 000 employees, prime contractors, major equipment manufacturers and dynamic network of SMEs. Our industry sector contributes to equipping armed forces with a very broad spectrum of equipment and is also one of the top contributors to our country’s balance of trade through its civil and military exports. Through its innovation efforts, it is rising to environmental challenges and adapting to keener competition in an increasingly complex economic and geopolitical context. The 2017 Paris Air Show will provide the opportunity to present these issues to the new French President and his government”, declared Mr Eric Trappier. 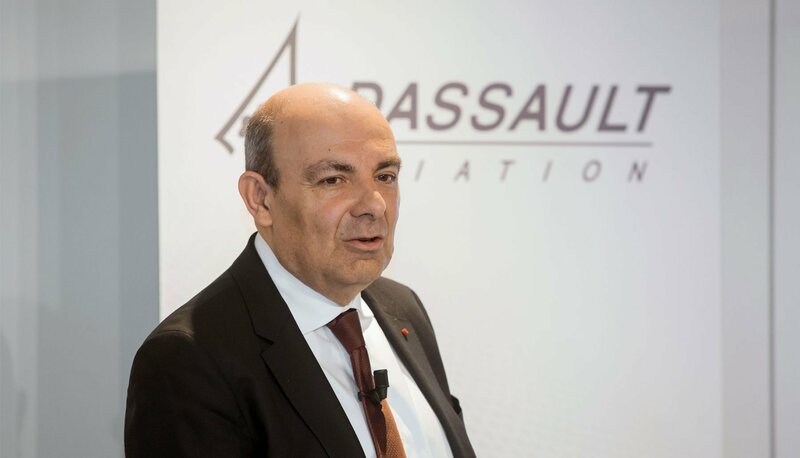 Mr Eric Trappier has been the Chairman & CEO of Dassault Aviation since 2013 and Chairman of the AeroSpace and Defence Industries Association of Europe (ASD) since May 2017. The ASD, based in Brussels, represents Europe’s aeronautics, space, defence and security industries.